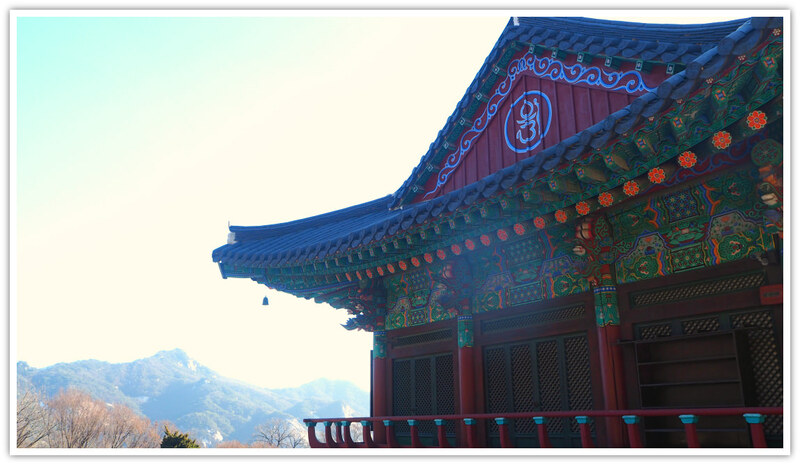 Hangnimsa Temple is a beautiful Buddhist temple and facility for Buddhist monks and believers. 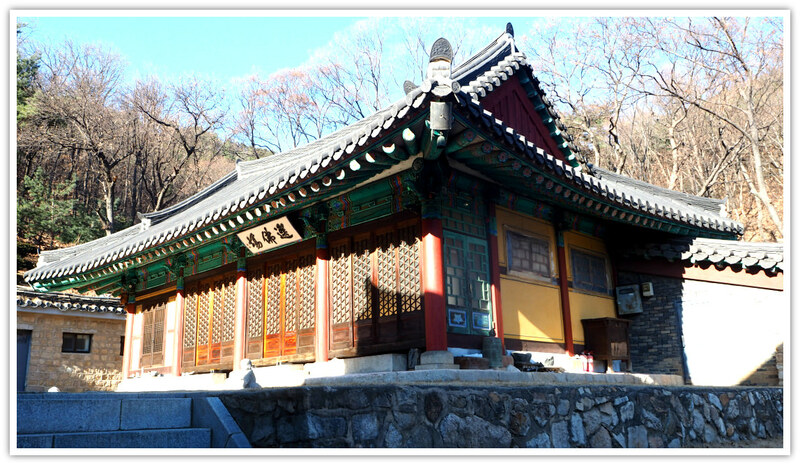 It is nicely located in a serene mountainside of Suraksan (or Surak Mountain 수락산 水落山), Seoul. Hangnimsa is the proper pronunciation for the Chinese characters 鶴林寺 (or Hak-rim-sa; ‘hak’ for Crane, ‘rim’ for forest, and ‘sa’ for temple). The name of this temple literally means ‘forest crane’ because the geographical features of its location resemble that of a crane sitting on its egg. 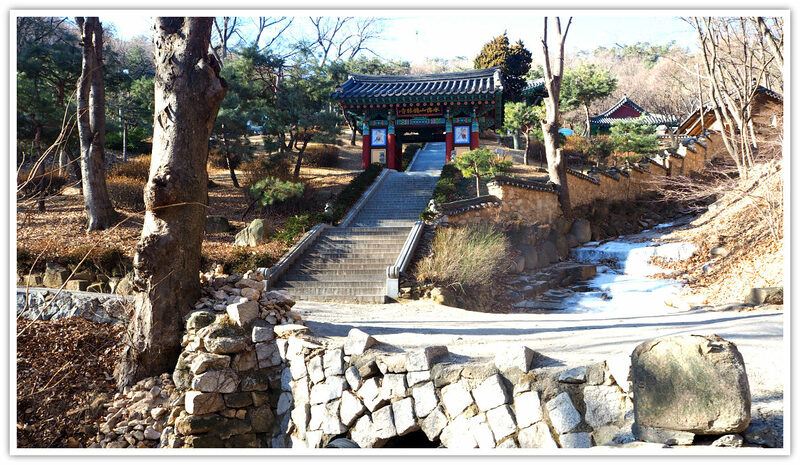 You can easily get to this place from Seoul or any point of origin in Gyeonggi Province. The best way to get closer to the area is through subway (Danggogae Station). It is an easy hike to Hangnimsa. 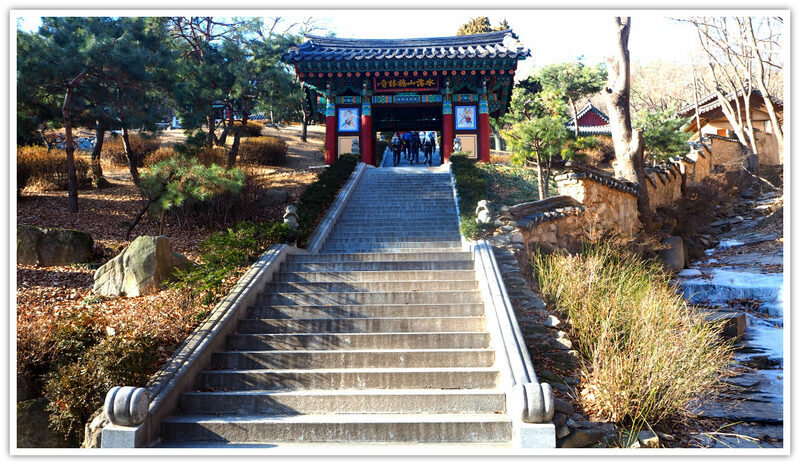 Although you need to ascend for about twenty minutes from the subway station, the elevation to the temple is not steep. A child of age 6 and above could easily ascend without much effort. Ironically, most of the hikers are older people (from 60 years old and above) but also some middle-aged hikers and younger. This is one of the secrets (not anymore, eh!) why most Koreans are fit and live longer. That is exactly why I started hiking the mountains of Korea :). In case you want to hike with me, feel free to contact me, seriously! 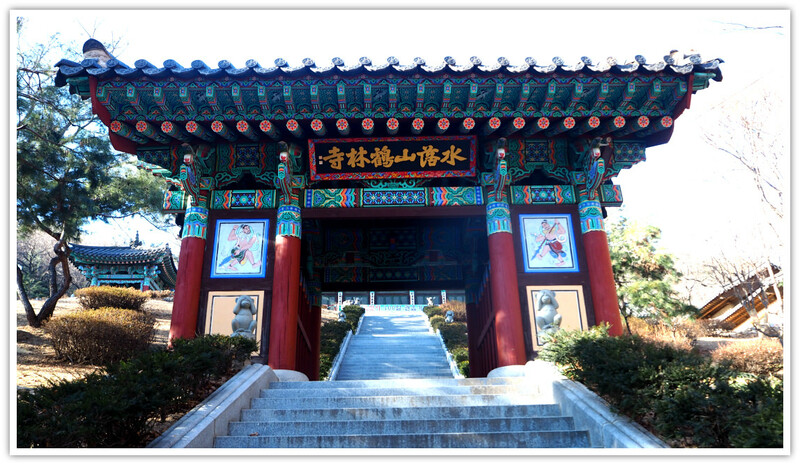 According to the descriptions available at the temple yard, Hangnimsa Temple was built in 671 by a Silla Period monk. 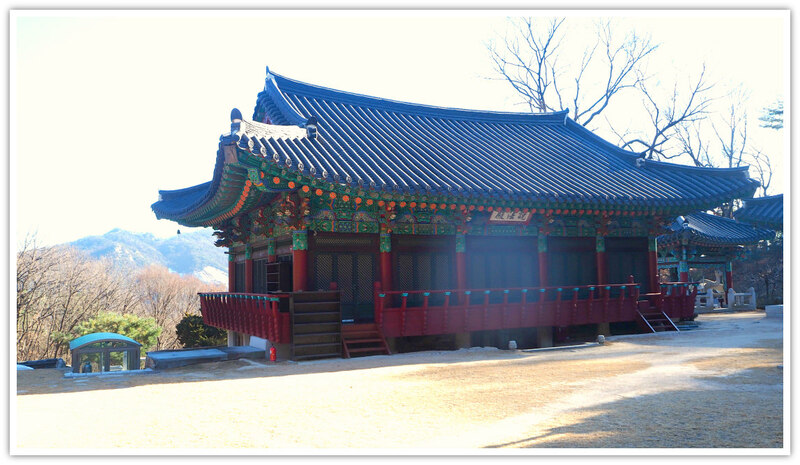 It has prospered during the Goryeo Period but suffered significant destruction during the Korea-Japan war. The temple underwent significant renovations in 1780 and 1830. The last major renovation took place in 1880 when the head monks received financial support from a royal family. Since then, the temple has been maintained and upgraded until the present. This Buddha statue, enshrined in Yaksajeon Hall of Hangnimsa (Temple), is 79cm tall. It is presumed to be a work from the late Joseon period. 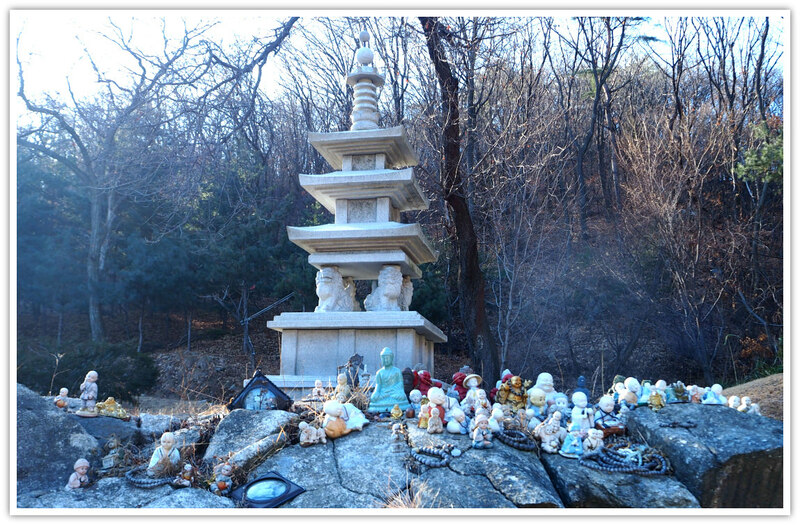 It is representative of the localized style-stone Buddha statues from the Joseon period. Buddha’s head is relatively big, and the facial features are rendered rather flat in shallow relief. Buddha’s mount is engraved in a thin depression, the ears are short, and the usnisa is so low that it is hard to recognize it. The narrow and round shoulders are fully covered in a robe. The two hands, small and crudely depicted, are attached to the stomach. Buddha, seated in the lotus posture, is damaged in part, and it is hard to recognize the exact form. Another description of Hangnimsa (Temple)’s painting, as posted inside the temple area, says that there is a painting of a Buddha triad or a sculptural representation of three manifestations of Buddha, namely Dharmakaya, Sambhogakaya and Nirmanakaya. The three names can be translated to mean ‘law body,’ ‘bliss body,’ and ‘transformation body,’ respectively. I did not have the chance to see the painting but could be very interesting to see it. I could do it next time around I revisit the area. So, I guess you are getting interested to see the temple. 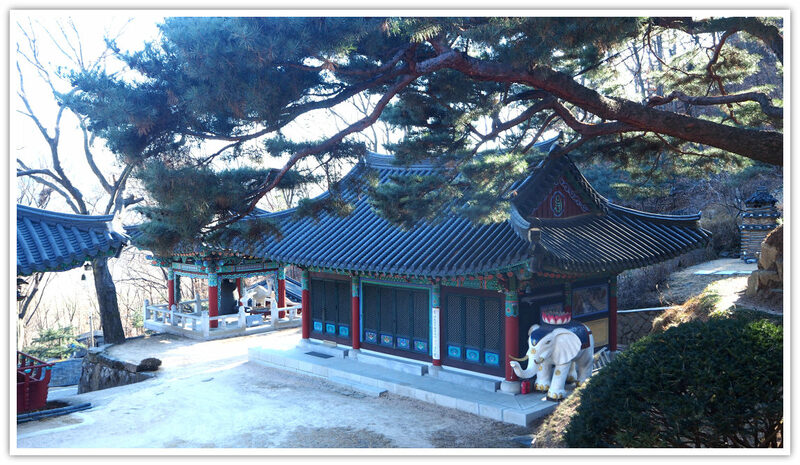 You can either stay around or inside the temple area to relax and experience the tranquil surrounding and atmosphere. 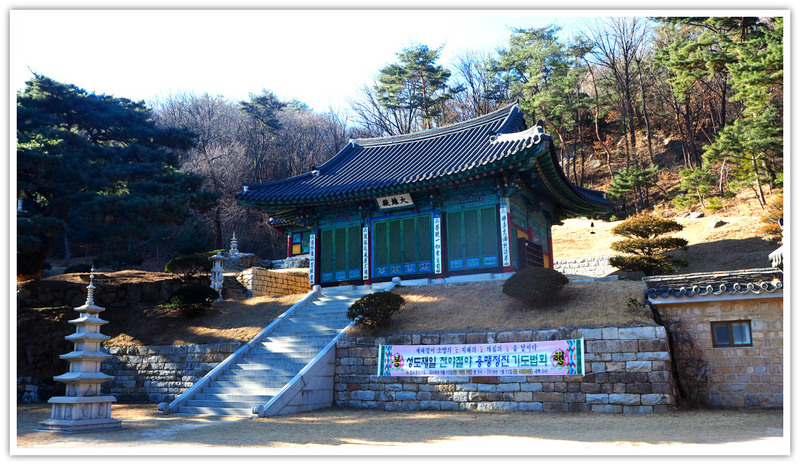 Alternately, after visiting the temple, you may proceed to the hiking trail located on the temples right-hand side. The trail will lead you to another temple (Yongguram Temple) within twenty minutes. Then you can continue to reach the Suraksan (mountain) summit which is about 1.5 kilometers from this temple. 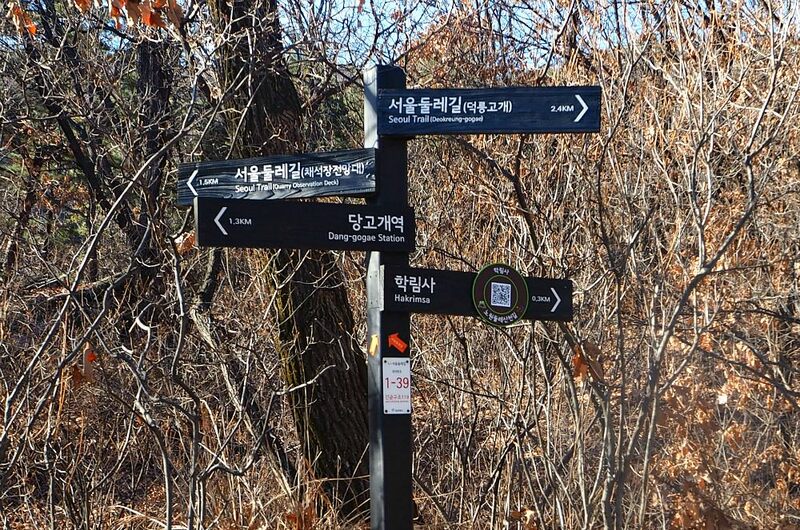 Get off at Danggogae Station (Exit 4) and follow the direction which says ‘Hangnimsa’ in red letters. Some are painted in English but mostly in the Korean language. Just match the photos on this page, and you’ll be on your right direction. If not, simply ask anybody you will meet on the road. You may also get off at other stations of Line 4 (Blue Line). 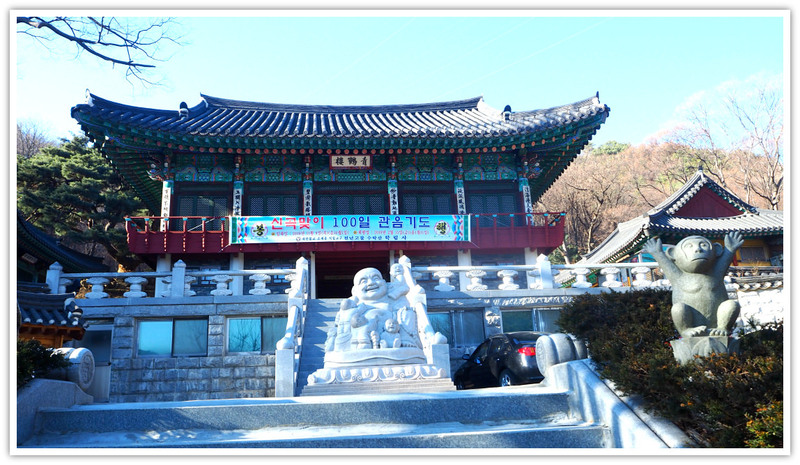 Then you can hike Suraksan and proceed to Hangnimsa as your final destination before taking a subway, Danggogae Station, the closest station to the temple. 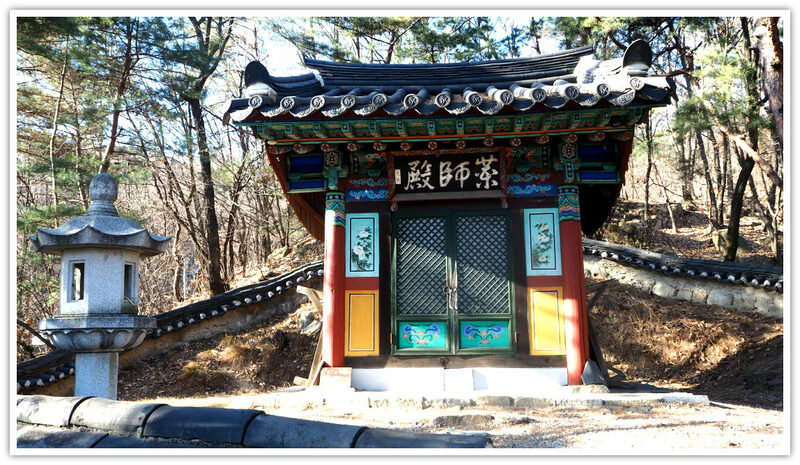 Jangam Station and Suraksan Station are the other two places where you can start hiking and make Hangnimsa as your last stop. Please, let me know should you need more details on how to get there.